Titanic Deluxe Golf Belek is rated 5.0 out of 5 based on 1 verified review from YGT customers. Nestled in the heart of Turkey’s most popular golfing region, Titanic Deluxe Golf Belek is a stunning all-inclusive resort, providing guest with first-class service and access to the Belek’s awesome resort courses. 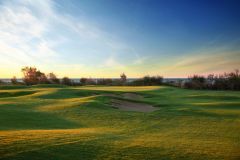 Titanic Golf Club is the main event here, with the striking Taurus Mountains standing watch over the course, the layout offers exciting play and spectacular views. Found on the outskirts of Belek, less than 30 minutes from Antalya Airport, Titanic Deluxe offers prime access to everything you could want; the beach, golf courses and town centre. The resort's excellent facilities cover an area of spectacular landscape, set amongst natural pine forests with the backdrop of the Mediterranean Sea and Besgoz River, its one of the top places to stay in Belek. We found 10 offers matching your search. The Titanic Deluxe Belek is a proper five star establishment; no expense has been spared in order to make it one of the most desirable resort hotels in Turkey. The hotel is able to boast 600 magnificent guest rooms, all of which are finished to the highest of standards - which help to make your stay as comfortable as possible. All guest rooms throughout the resort are equipped particularly well, all include as standard: 42” LED TV, high speed Wi-Fi connection, air conditioning, minibar, tea & coffee station, electronic safe and a balcony or terrace. Or if you’re looking for accommodations which are exclusive and seriously spacious then why not opt for one of the resorts superb villas. All villas include their very own private swimming pool with some able to boast five bedrooms! The Presidential Villa has a Turkish bath, sauna, fitness exercisers, a private cabana at the beach and a two vehicle garage. The Resort features number of themed buffets as well as five a la carte restaurants and fourteen bars, including dining options such as Pascarella which serves up some wonderfully authentic Toscana style dishes and Hürrem which provides its diner with tasty regional delicacies from all across Turkey. If you are looking to take a break away from the wonderful array of golf courses in the area there is a 13,000 sqm full service Spa & Fitness Centre available for guest’s usage. It offers a range of therapies, massages and health treatments as well as a choice of outdoor swimming pools. The hotel is located within just a stone’s throw of its very own close private beach, so why not participate in one of a number of water sports out in the Mediterranean Sea or just sit back and relax in your very own cabana on the beautiful sandy shoreline. We've stayed at quite a few hotels in Belek, each year they seem to get better and better and the Titantic continued this trend. With incredible leisure facilities, a great all inclusive offering and easy access to the courses it is certainly one we'd recommend and stay in again. The rooms and service are very much 5* and sure this'll become one of the most popular places to stay.